Modern day laptops like the 2015 MacBook and Chromebook Pixel 2 have minimized the number of ports in the quest to be as thin and lightweight as possible. 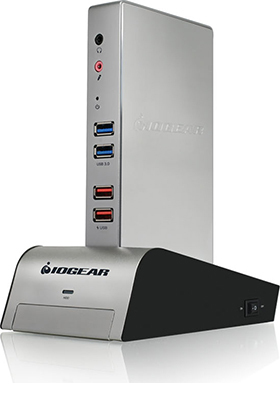 With IOGEAR's docking stations you can combine the portability of a laptop with all the functionalities of a full-featured workstation. 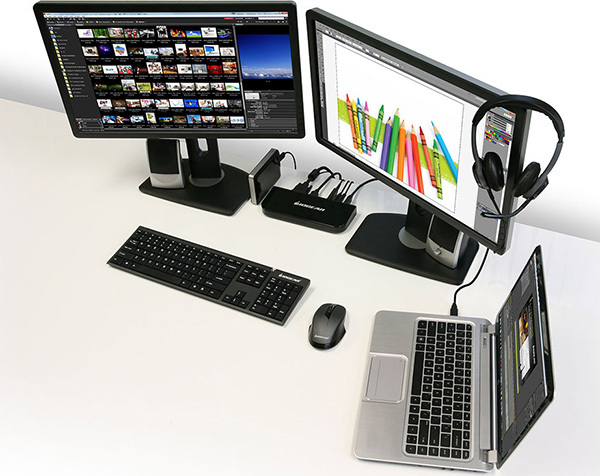 Now you can easily add a full-sized keyboard and mouse, external hard drives, printers, webcams, etc. to turn your laptop into a complete workstation. A single connection replaces the need to set up your peripherals cable-by-cable which makes setup completely hassle-free and multitasking almost effortless.